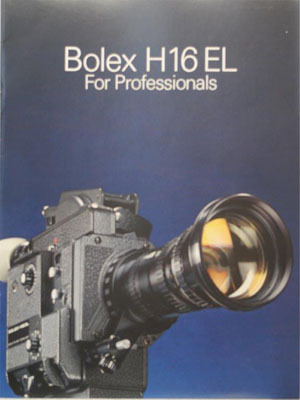 BOLEX H16 EL III Normal/Regular 16 Camera Body, Electric Drive, Includes Backwind, Hatch Cover, Rubber Eyepiece, Set of 4 Filter Mounts, 1.2 Ah Onboard Ni-Cd Battery, Charger, Electric Release Cable and Instruction Manual. (Without Lens). (ch) Limited to New Stock Availability! BOLEX H16 EL III Demo Normal/Regular 16 Camera Body, Electric Drive, Includes Backwind, Hatch Cover, Rubber Eyepiece, Set of 4 Filter Mounts, 1.2 Ah Onboard Ni-Cd Battery, Charger, Electric Release Cable and Instruction Manual. (Without Lens). (ch) Limited to Demo Stock Availability! 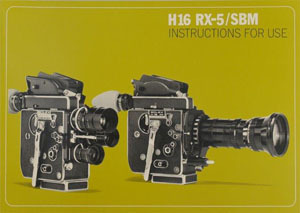 NEW SUPER 16 / REGULAR 16 BOLEX H16 EL III Normal/Regular 16+Super 16 Camera Body, same accessories as above. 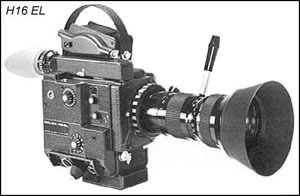 Manufactured as Super 16 by the Bolex Factory in Switzerland). (Without Lens). (ch) Limited to New Stock Availability! 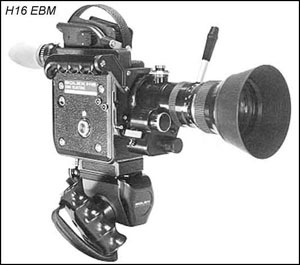 BOLEX H16 EBM Normal/Regular 16 Camera Body, Electric Drive, Includes Backwind, Hatch Cover, Rubber Eyepiece, Filter Mount, Anatomical Handgrip, 1.2 Ah Onboard Ni-Cd Battery, Charger. (Without Lens). (ch) Limited to New Stock Availability! DEMO REGULAR 16 BOLEX H16 EBM Demo Normal/Regular 16 Camera Body, Electric Drive, Includes Backwind, Hatch Cover, Rubber Eyepiece, Filter Mount, Anatomical Handgrip, 1.2 Ah. (Without Lens). (ch) Limited to DEMO Stock Availability! 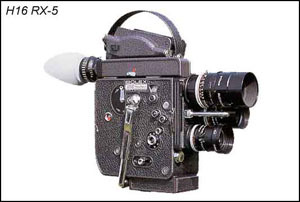 BOLEX H16 EBM Normal/Regular 16+Super16 Camera same accessories as above, also specially equipped to accept either WM or MM take-up motors. (Without Lens). 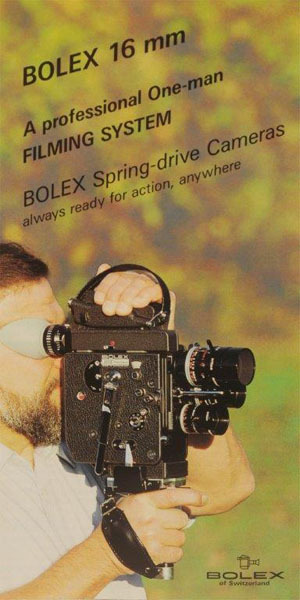 (ch) (Super 16 by the Bolex Factory in Switzerland) Price Limited to New Stock Availability. "WORLD FAMOUS TURRET SPRING-DRIVEN CAMERA"
$5,460.00 No longer available new. Limited to New Stock Availability! 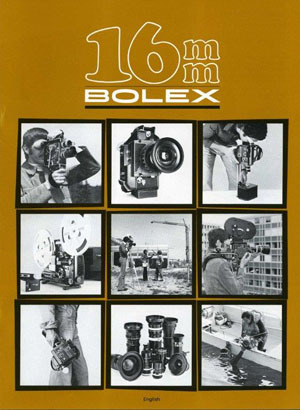 20 PAGE CATALOG ILLUSTRATING RECENT BOLEX 16MM CAMERAS AND ACCESSORIES (Not a Copy) Last Catalog Published by Bolex Factory. by Andrew Alden. One of our best selling titles. Covers the H16 cameras, lenses and accessories. Everything you ever wanted to know but were afraid to ask. 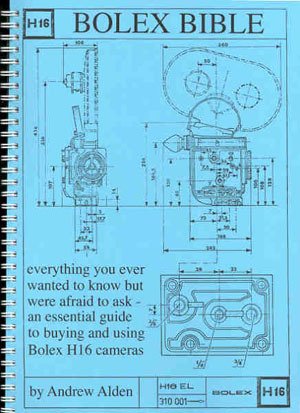 An essential guide to buying and using Bolex H16 cameras and accessories. 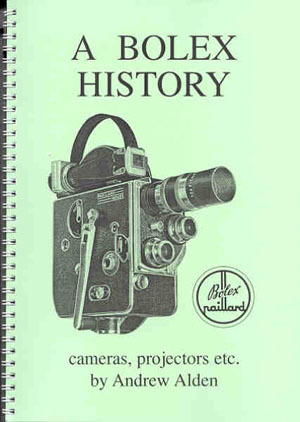 The most definitive and illustrated book available on Bolex. 100pp Spiral Bound Paperback. One of our most popular titles. 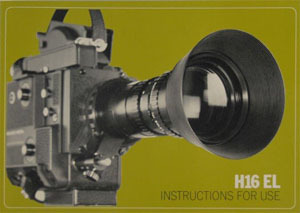 Second Edition - Covers factory History of 16mm, Super 8 and Regular 8 Cameras, Projectors, Etc. by Year. Very well researched and presented. 83pp Spiral Bound Paperback. 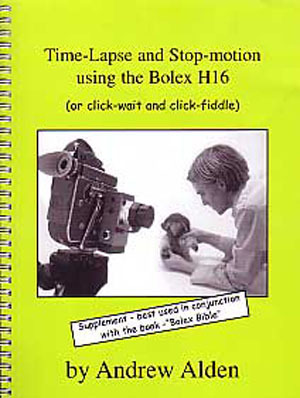 Author Andrew Alden says about this book "Supplement - best used in conjunction with the book - Bolex Bible"